A commitment to product innovation and a focus on service has paved the way to exceptional growth for paving and walling manufacturer Tobermore. Paving has come a long way since the days of bland, grey blocks being the dominant feature outside business premises and on residential driveways. 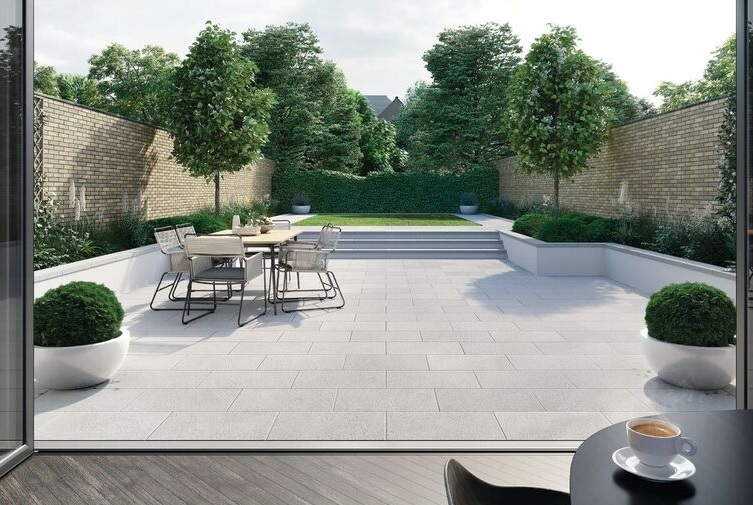 One company at the forefront of innovation in concrete paving products is Tobermore, with solutions that are designed to add interest and value to the property by creating a real sense of quality to the driveway, patio or garden. In what is, of course, a competitive market, the company has invested heavily in a state of the art production plant, developing a robust package of paving and walling solutions for regional and national housebuilders across the UK and Ireland. Tobermore began life as a sand and gravel business started by the Henderson family in 1942 but now, more than 75 years later, it is one of the top paving and walling manufacturers in the UK and Ireland. The company reports that an increasing number of regional and national housebuilders are now choosing Tobermore as their preferred supplier, having gained the first-hand experience of their product quality and customer service. 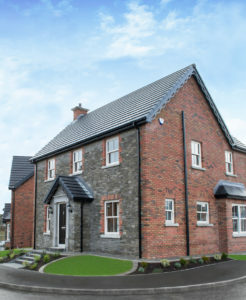 Tobermore is set to turnover £50 million in 2019 and employs around 260 staff, split across its HQ and sales teams spanning the UK including a dedicated housebuilder division. The family ethos at the firm is mirrored in the dedication of Tobermore’s staff. The company was recently awarded a Sunday Times ‘One to Watch’ status, a business accreditation which recognises companies that have proven successful workplace engagement with employees and show promising signs for the future. Tobermore takes the honouring of delivery times very seriously. In 2018 it achieved an outstanding record of over 99% of all orders delivered in full and on time as agreed. The company told us that this stems from the fact that it manufactures all products on a single site and maintains much higher levels of stock than the industry average, and so remain ready to be delivered to housebuilders on demand. A demonstration of its confidence in this area is the recently launched ServiceSure – a package of customer service benefits developed to ensure an efficient, and consistent streamlined experience. This customer-focused service follows a project from initial enquiry to delivery and beyond, updating customers at every stage. Additionally, every order placed with Tobermore is sense checked on receipt by one of its advisors who liaise with customers directly to ensure quantity, format and delivery details are right the first time. All orders receive an Order Confirmation with clear product and pricing information. The company also has a record as early adopters of the latest manufacturing techniques. It explained that every aspect of its products’ performance is researched and optimized to provide longevity of appearance. For example, Tobermore has used innovative efflorescence reduction methods for twenty years. This Eff Stop process combats instances of efflorescence by using an advanced vapour curing technique, treating each batch of paving to a 12-hour steam bath, penetrating moisture deep within the concrete and controlling the rate of drying in the paving. The result is the virtual elimination of the risk of efflorescence in its paving and walling. A further example is its PrimeTop manufacturing process which creates a dense, hard wearing surface layer on many of their paving ranges, resulting in enhanced colour retention and wear characteristics. Housebuilders are aware that the government introduced new planning guidelines in 2015 for the use of SuDS on any new housing site with more than ten units. While in January 2019, the Welsh Government introduced new mandatory regulations for Sustainable Drainage Systems. All new developments comprising more than one building or where the construction are is 100m² or greater, will require sustainable drainage systems (SuDS). Tobermore offers a broad range of permeable paving options within its Hydropave range. In meeting with the growing demand for more innovation in the design of permeable paving, the company has also designed a range of laying patterns moving away from the traditional rectangular paving laid in a herringbone pattern. Concrete facing bricks are becoming an increasingly important sector in the UK housing industry, where they are regularly used by both national and regional developers. 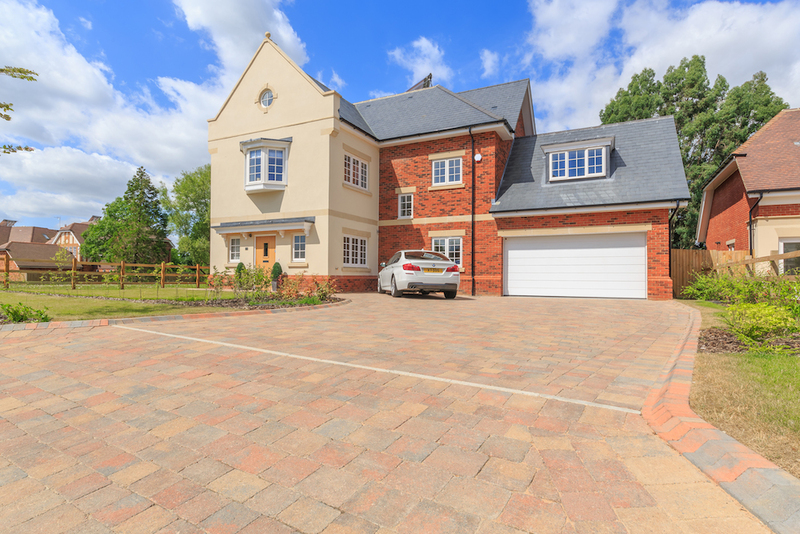 While Tobermore is perhaps more well-known for its paving, the company also manufacture a range of concrete facing bricks, meeting the high market demand from housebuilders for bricks. The company explained that it maintained its production of concrete facing brick during the downturn and has a range of aesthetically pleasing high-quality bricks that can be delivered to sites without a long lead time. With innovation at the forefront of Tobermore’s strategy, they have recently invested £4 million in a new factory for its latest range of high-value decorative paving slabs which have the appearance of natural stone, as well as a new product range, Mayfair EasyClean and Beaufort with EasyClean, paving integrated with stain protection technology. With first impressions being of such high value to home buyers, an outdoor space paved with this latest product could add considerable perceived value to a property in the eyes of a potential home buyer. Find the right product for you using the Product Selector Tool.